Dana Knauff, LMA, is a licensed medical aesthetician and facial specialist. She enjoys helping her clients feel more confident about how they look and is passionate about assisting them to maintain the health of their skin. 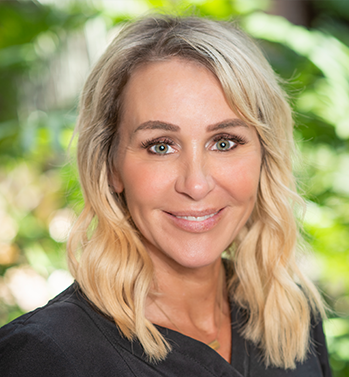 Before joining the Ocala Eye team, Dana was the facial specialist at “A NU U Salon and Spa” in Williston, FL, responsible for all facials, microneedling, HydraFacials, waxing, radio frequency microdermabrasion, ultrasonic exfoliation, and Dermaflash. She also has experience working in the OB-GYN department as a certified nursing assistant (CNA) for both Shands Healthcare and the North Florida Regional Medical Center. Dana loves her job and appreciates being able to interact with people from different backgrounds and skin types. Her clients rely on her to find solutions and treatments for their skin issues and Dana enjoys the challenge of having to come up with creative yet science-based methods and techniques to meet their individual skincare needs. Dana’s path to medical aesthetics began at Santa Fe Community College in Gainesville and continued at the College of Central Florida in Ocala. She is a certified nursing assistant (CNA) and licensed medical aesthetician (LMA) and is currently working to get licensed as a hearing specialist. Dana has four children and loves to fish and spend time on her boat with family and friends.